Drupal Developer Days brings together people who contribute to the progress of Drupal from around the world. There are code sprints, workshops, sessions, BoFs, after parties (and after-after parties) and more. 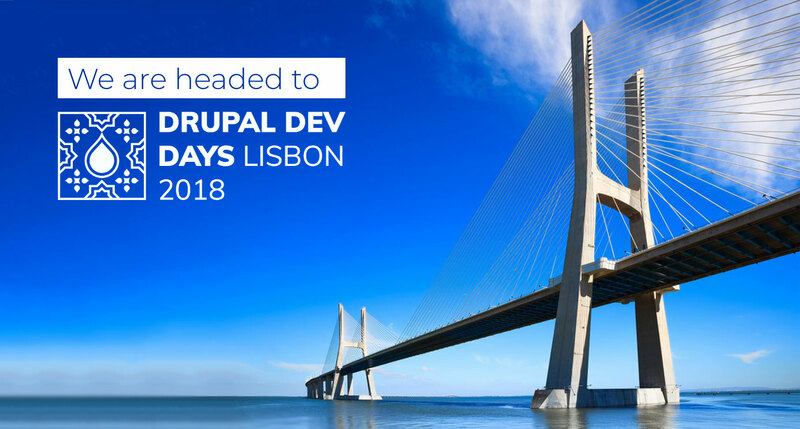 Drupal Developer Days Lisbon 2018—which begins Monday, 2nd July, and continues up to Friday, 6th July, at ISCTE (University Institute of Lisbon)—offers an opportunity for students and experienced professionals to meet and learn about what’s new in Drupal. Participants from around the world come together and seek ways to improve the Drupal platform. Attendees can attend sessions, workshops, and code sprints led by experts in the community, and build connections with professionals worldwide. Two of our team members are representing our agency by contributing a workshop and a session on two key topics. Lakshmi and Mohit are ready to learn, teach, and give back to Drupal. Lakshmi is leading a two-hour workshop titled The helmsman and the water drop: Running Drupal on Kubernetes that will explore Kubernetes (an open-source container-orchestration system) and its uses. 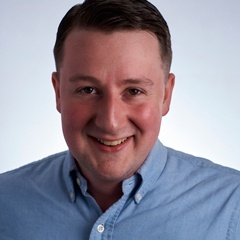 “I’ve never given a workshop, and this is on the ops side of Drupal, which I have a penchant for—I’m just as interested in how to deploy an application as in writing the code and features,” he says. Why this submission for the workshop? This is the first such event he’s submitted to. He chose this one because he finds that he syncs better with the dev community in particular rather than the Drupal community as a heterogenous whole. With any tool in the dev world, abstractions come at a cost. This is true for containers as well: “Containers present with their own problems, and we have to find out how to manage them. We have to optimize the way we consume our infrastructure. That’s where container orchestration comes in,” he explains. Kubernetes helps solves the container orchestration challenge, taking care of the need to deploy different applications, so that devs can focus on writing the code alone. Sometimes, production deployments do go wrong. As a backup, Kubernetes offers the concept of rollback, which facilitates reversion to a previous working condition. But learning Kubernetes can feel like drinking from a water hose, says Lakshmi. “Like any new paradigm, devs can expect a lot of terms and concepts. I'll try my best to relate it to stuff you'd probably already know and keep it simple. You'll leave the workshop with a totally different (hopefully for the better) perspective on how to deploy your application,” he says. Mohit’s session, titled Writing dynamic migrations, will show participants how to migrate from various data sources to Drupal 8. Why this particular session topic? 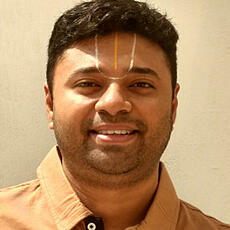 “It emerged from a real end-client need,” says Mohit. Recently, in a project that he was a part of, there was a client requirement to migrate content based on user input (e.g. the user prefers a particular language, content type, etc.). Mohit collaborated with others to find the right approach via a dynamic migration, and this solution worked. Because it was new to them initially, it look more time than expected, but now it’s easier—and Mohit hopes to share how to do these migrations even more efficiently. Writing a migration takes two approaches: configuration, which is more-or-less steady, easy but less flexible, and user input, which is the dynamic way. A dynamic migration scales above configuration restrictions, rising above limitations. Mohit will explain the setup and then run through the migration, so attendees can experience it. He’ll also go into other relevant topics which will help to convey the concept more clearly. Mohit feels that this particular theme, migration, is everywhere. "Migrations API helps developers and decision-makers with deciding about their next project," he says. He first presented this session at DrupalCamp Goa and reformatted it for DrupalCamp Mumbai. This version of his session has evolved from user feedback and perceptions, and offers more context through examples, clearly conveyed and understood. The session is meant to encourage a move to Drupal, without data loss or significant challenges—in the end, the session aims to promote Drupal adoption through clear, easy migration paths. 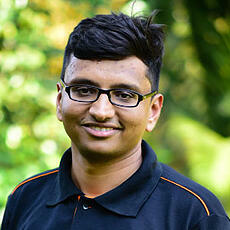 This is Mohit’s first DevDays event. He prefers the developer focus that DevDays allows, with prominent contributors attending and great opportunities to learn new things from fellow contributors. He’s looking forward to the media initiative and front-end initiative sprint—he’s excited about this, and with Drupal 8 admin UI needing a ramp up, he wants to learn how to make a more impactful contribution toward this.